We hear it daily, “Macs don’t get viruses” or “I’ve never had protection on my Mac”. While this may have been true in the past, the Mac operating system is vulnerable to infections, especially as more and more people switch from Windows to Mac. The Mac operating system is a UNIX based operating system and uses a type of ‘sandbox’ system, where malicious code cannot get as far or embed itself as well as other operating systems, such as Windows. Apple has also built in certain features such as Gatekeeper where it blocks apps that have been downloaded from the Internet and do not have a Developer ID supplied. However, that does not mean Macs are completely safe. As more and more people switch from Windows based computers to Macs, cybercriminals are finding ways and exploits to infect Macs. For example, back in 2017, cybercriminals hacked into the servers of a popular DVD-ripping and Video Conversion app call Handbrake, and inserted malicious code into the software. When the software was installed on a Mac, it also inserted something called a backdoor into the system. The cybercriminals then could use the backdoor to exploit the infected Mac. 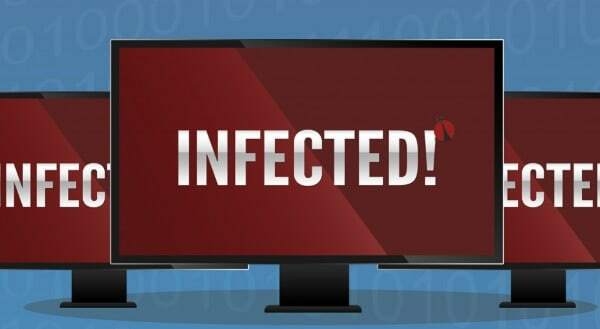 We usually do a quick scan on all Macs just to make sure they are clean and virus free, yet almost every Mac we see has got some sort of infection. In fact, we shared a photo on Facebook last year after a customer told us “Mac’s don’t get viruses”. This machine had over 100 different infections, which we cleaned up and returned with an antivirus solution in place. If you are concerned that your Mac or even Windows computer has got a virus infection, or need a robust antivirus solution, give us a call on 01543 889 444 to get it booked in.